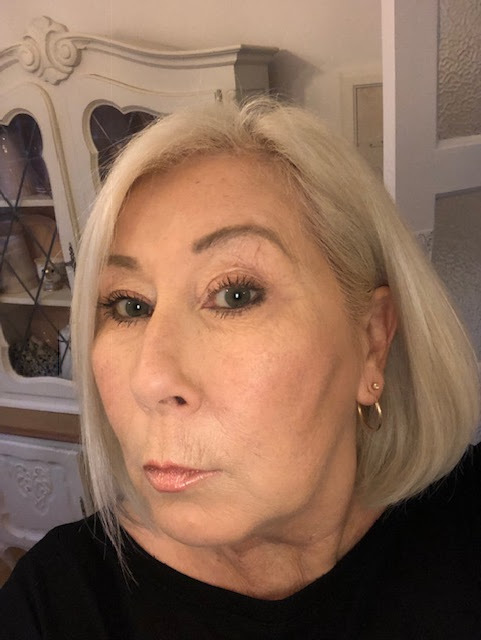 Everyone wants long lush eyelashes and fashionably shaped bows nowadays, I guess that in itself is nothing new, however now you don't have to put up with whatever you were given by nature in terms of short sparse lashes or spindly brows, technology has come to the rescue. Or has it? 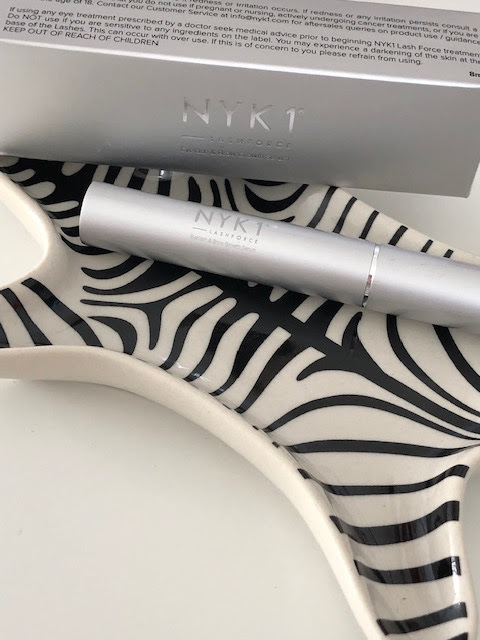 I was really sceptical about trying out this serum as I honestly didn't think anything could make a difference worth talking about, there are quite a few brands popping up on the market and they are not cheap, so it's kind of a risk in the hopes that it works. 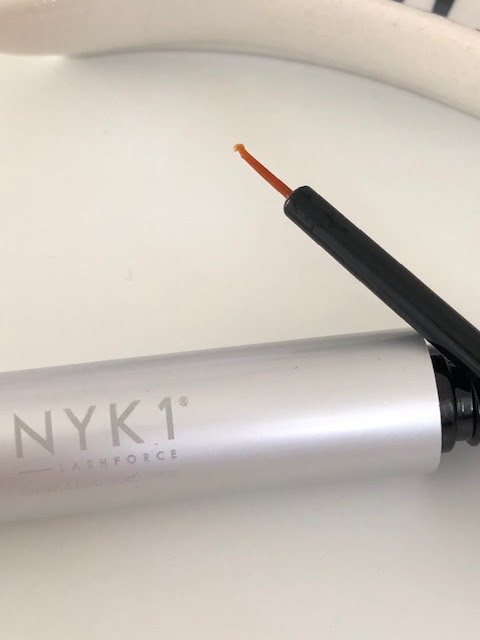 I was offered Lashforce serum from NYKI to try out over a few weeks which I have. Let me start by saying I am fortunate enough to have fairly decent lashes but the brows! well they were in definite need of help and as you know I am mid way through the micoblading process to aid them. I started using Lashforce as instructed twice daily, the clear serum has no obvious fragrance, is clear and comes with a fabulously fine long bristled brush applicator to allow you to get right into the lash line, you are instructed to apply the serum as you would a liquid liner as close to the roots as possible and on the brows to the base of the root. The serum contains stimulants to encourage growth at the root follicle by increasing blood flow and nourishment they receive with B vitamins included. 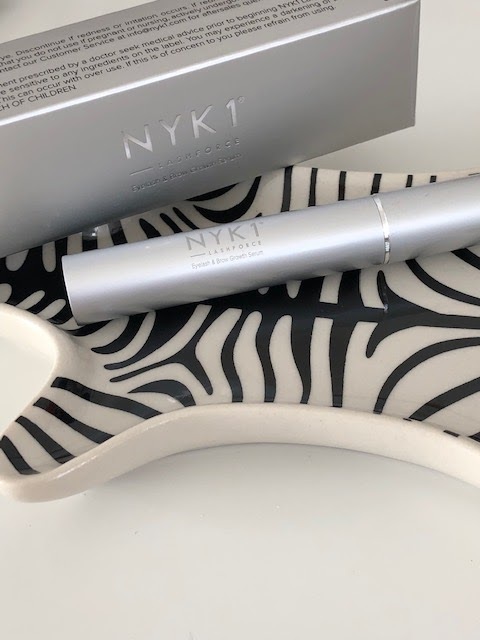 I struggled to use the serum twice a day on my lashes it was making my eyes a little irritated the brows were fine but the lashes were having non of it, I used it once a day for the first week and then went back to twice a day with no problems at all. The company say you will see maximum results within 6 weeks I have been using the serum now for over 6 weeks and the results are crazy! I did see an almost instant improvement though within the first couple of weeks and one thing I have really noticed is that my lashes are hardly falling out, I know they do due to the natural process but now it seems that the lashes have pre prepared for the shedding with new lashes so there are no visible signs of loss. 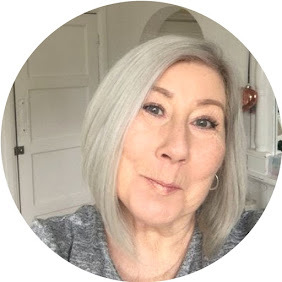 The actual length of the lashes have improved greatly to the point that on applying mascara I can see a huge difference and to be honest I thought they were OK before I started this process. The brows have not fared quite as well but in truth they were abused in the 70s plucked to almost nothing and have never really been the same since so it was a lot to ask to see a massive difference, the texture of the brow hair does seem a little softer though so maybe that could be new hairs coming through? All in all I have to say this is a pretty impressive product, it works without a shadow of a doubt, whether it is better or worse than any other brand I couldn't tell you, but It worked for me. Post contains Brand/Agency samples unless stated. Contains Affiliate links.